On April 10, 2019, after family and friends had the opportunity to say their goodbyes, Joan slipped away peacefully from this world and made her way home. She is now free from the pain and stress of a challenging battle with cancer. Sylvia Joan Hall (nee MacColl) was born on May 20, 1935, in Buchanan, Saskatchewan, the daughter of Hugh (Mac) and Mary MacColl. She was the second of six children – five daughters – Alicia, twins Sharon and Lauralee, Sandra, and one son – Robin. She had many close friends while attending Yorkton Collegiate where she was known as a bit of a rebel! (Ask Robin about the fence story). Joan was a proud mother, grandmother and great-grandmother. She was lucky enough to meet her second great-grand child, Cadence, just before her passing. She was a fiercely independent woman and when she became the sole provider for her family, she ventured out into the work force. She excelled as a manager at Accent on Books and later on as a customer service rep at Image Cable, where she learned new skills and, most importantly, made lasting friendships. Rain or shine, snow or sleet, most days she walked the 3 km to work at Image. After retirement, she filled her time with friends and family. Joan and her sister, Sandra, became very close in later years and spent many hours together, talking, laughing, antiquing and traveling to Toronto, Portugal and Gibraltar. A highlight of her travels was an Alaskan cruise with her son, Shawn. 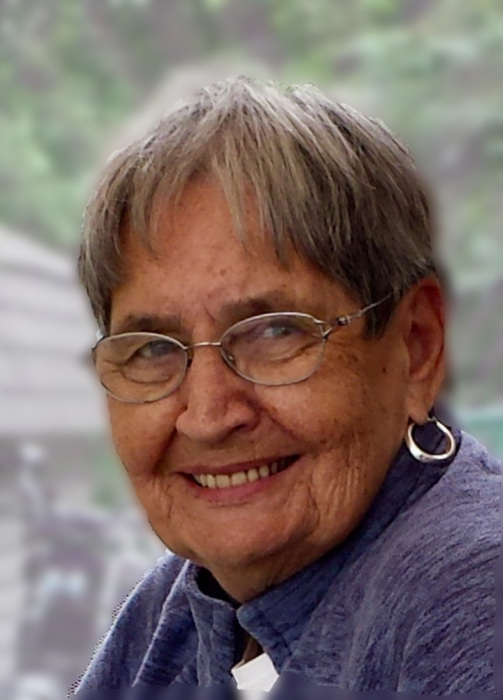 Despite being a prairie girl, she loved the ocean, and Good Spirit Lake served as a wonderful substitute, giving her days of sunshine, laughter and happy memories of times spent with family and good friends. Joan was a voracious reader, an avid crossword solver, itinerant walker and a sports fan be it figure skating, curling, baseball, hockey, football or golf. She was predeceased by her daughter Shelley, her sisters, Alicia, Lauralee and Sandra and her brothers-in-law, Richard and Mitch. She leaves to mourn her passing and cherish her memory, her three sons, Shawn (Tami), Scott (Gilles), Ryan (Lisa) and son-in-law Pat Melnychuk. Six grandchildren, Tyler Melnychuk, Brittany (Ryan) Mulligan, Keenan (Nao) Hall, Zachery, Tate and Leon Hall and two great-grandchildren, Brayden and Cadence Mulligan. Her sister, Sharon, and brother, Robin, also survive her, as well as her brother-in-law Andre (Terry) and many cousins, nephews, nieces and friends. She will be remembered as being kind, patient, compassionate and for telling it like it is. She will be dearly missed by all who knew and loved her. In Joan’s memory, a donation to The Health Foundation for use at Jowsey House would be appreciated. Cremation has taken place and a memorial service will be held in Yorkton in the summer of 2019.